OK, so I felt the need to reshoot the Christmas presents. Here we go again! 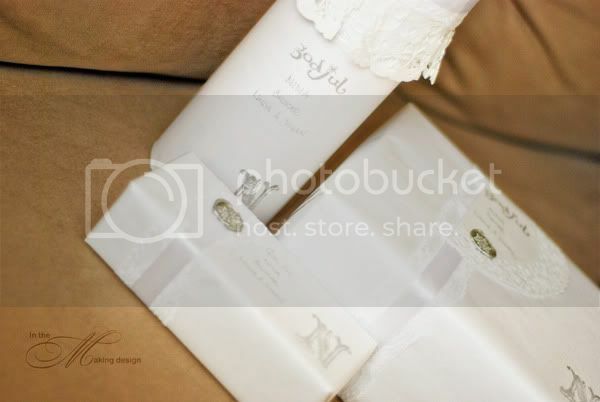 So that's white on white with matte wrapping paper, with fabric lace, satin ribbon, paper doilies. 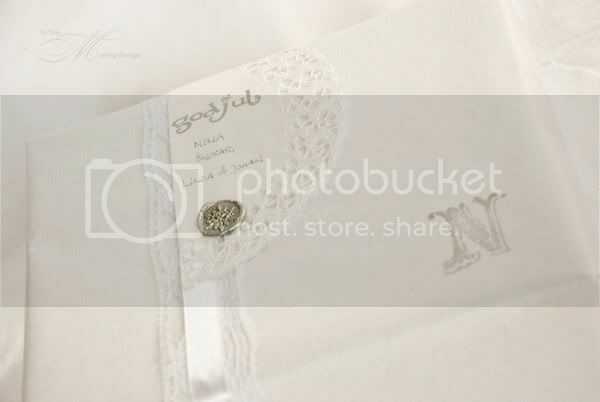 I also used silver ink to stamp the initial of the recipient and the "God Jul" (which means Merry Christmas in Swedish), silver wax seals with a snowflake motif (can't leave the snowflakes out), and a sparkly silver pen to write the message.